Post-election poems by Gwendolyn Brooks, Walt Whitman, and more. The quadrennial choosing, and its aftermath. 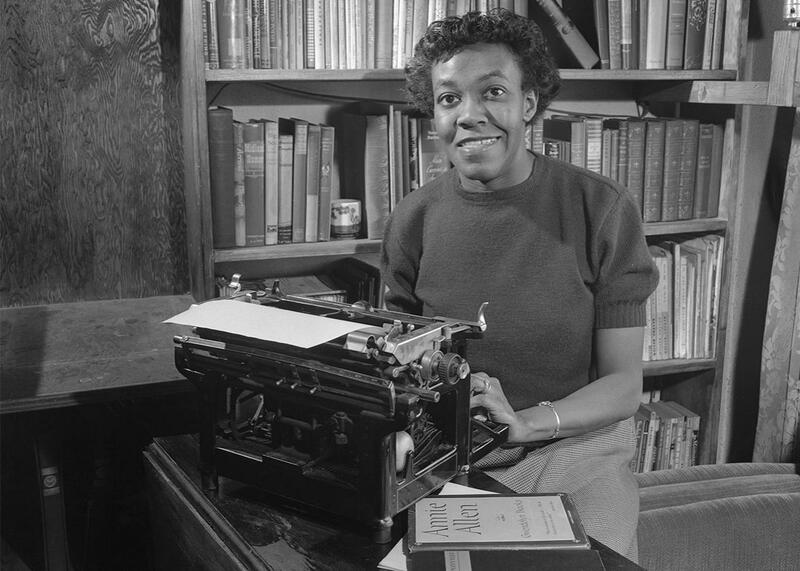 Gwendolyn Brooks on May 2, 1950. Often, the best works of art about an historic event come from long before. Here are four poems from the past, in response to the 2016 presidential election. First, Walt Whitman’s “Election Day, 1884” written about the nasty Cleveland–Blaine election of that year. Whitman says that the heart of the election is “not in the chosen” but with “the act itself the main, the quadrennial choosing.” He speaks of voting day not as sacred but as “powerful,” comparing it not to forest glades or solemn cathedrals but to the fluid, dynamic energy of Niagara Falls. Gwendolyn Brooks’ sonnet from her sequence The Womanhood uses that form to present the relation between art and battle, with their related priorities and demands: a practical, urgent struggle for a black woman poet of Brooks’ lifetime. “To arms, to armor,” she writes, with her fluent mastery of the sonnet form enacting a victory. And as the final element in this little anthology, Czeslaw Milosz in his “Incantation” invokes the world as it should be and— the poem maintains—will be. It’s a kind of spell or prophecy by the Polish poet, who lived through both the Nazi occupation of his country and the succeeding Stalinist regime, to write this poem during his years in the United States. porque yo sé mejor que vosotros que la ordené yo mismo. porque yo sé que el pueblo la derribará un día. sino que erigí esta estatua porque sé que la odiáis. It is an enemy of despair and a friend of hope. “Somoza” used by permission of New Directions Publishing Corp. “First fight” courtesy the estate of Gwendolyn Brooks. “Incantation” courtesy Ecco Press.